So sorry, but the bundle has ended. If you want to be sure you don’t miss future time-sensitive things, sign up for my free newsletter here. Great News! The Ultimate Homemaking Bundle for 2018 is back for a two day flash sale before it is gone forever. After this, this grouping of products will not be together again. If you’re relieved because you missed the actual sale, click here. If you have no idea what I’m talking about, keep reading! 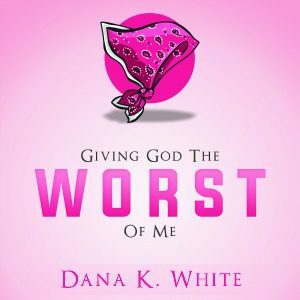 In December of 2015, I released an e-book called Giving God the Worst of Me. That e-book is basically my heart in a PDF. It’s the story of the spiritual side of my deslobification process. I share the history of shame over my slob struggles, my resistance to letting God direct me to use a blog about my deep dark secret, about the thing I struggle with most, as my ministry, and more. And now it’s an audiobook! So many people have asked for it to be in audio form, so here you go! It’s still free to read as a PDF, or you can purchase the audio version. In the way I do most things, having a deadline helped me get this audiobook done. A year ago, during a live video on Facebook when I was talking about 2017’s Ultimate Homemaking Bundle, someone asked if the bundle included any audiobooks. If you were watching at that exact moment, you probably saw wheels start turning inside my head. I decided right then to finally get this done and launched with the 2018 bundle! Ummm, what do you mean . . . “bundle”? If you’ve been around a while, you know that almost every year I participate in the Ultimate Homemaking Bundle. The bundle is a unique opportunity for you to get access to a WHOLE BUNCH of digital resources packaged together for a limited time for a price that’s a teeny-tiny fraction of what the resources would cost if purchased individually. Only available April 11-16, 2018 Flash Sale November 5-6 before it’s officially gone forever! The products are all sold on their own, but these six two days are the only period when you can get the products all together for the single price. Even though there’s a bundle every year, each year includes different products. This means that the products in this year’s bundle haven’t been in a bundle together before and won’t be in a bundle together again. 62 eBooks, 34 printable packs and workbooks, 3 membership sites, 30 eCourses, videos and audios are in this year’s bundle. No one needs 129 products. Keep reading and I’ll explain how to decide what you might need and if the bundle is a good value for YOU personally. The audio version of Giving God the Worst of Me is 12.00 on its own . . . So how do you decide if the $29.97 price is worth it for YOU? Grab a piece of paper and a pen, click over here to the list of this year’s products, and jot down the value of the things you’d really like to have. Once you’ve explored the products, add up the values of the items you want and see if the total is significantly more than $29.97. If you’re not sure, check out these other posts where I shared the products from this year’s bundle that stood out to me, what I thought after getting in and exploring those products to see if they deliver on their promises, and how those products add up to make the bundle worth the cost. Is the audiobook available anywhere besides the bundle? How do I find the PDF of Giving God the Worst of Me ?